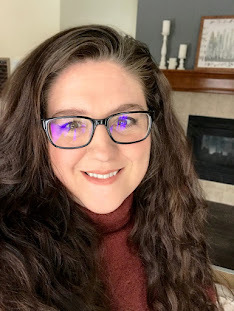 Summer is flying by but I do have some fun news to share. 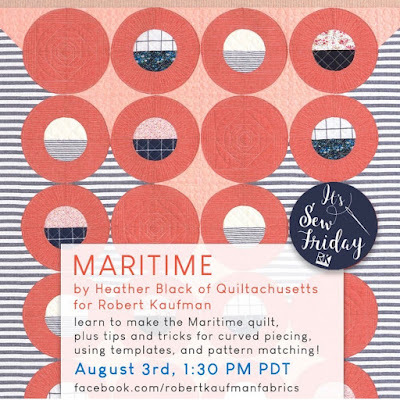 Both patterns that I wrote for Robert Kaufman earlier this year are now available to download, instructions and all not just fabric requirements. 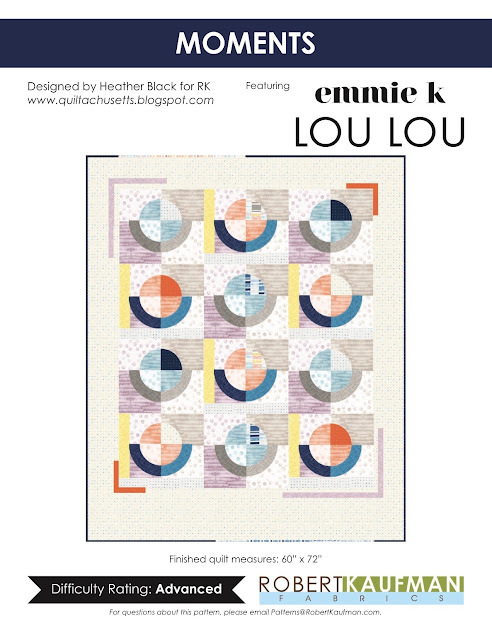 The first pattern is my Moments quilt featuring Lou Lou by Emmie K. I am completely in love with this fabric line and all the great low volume prints. Also available as a pattern is my Maritime quilt. Not only is it a pattern but Robert Kaufman featured it in a It's Sew Friday video!! 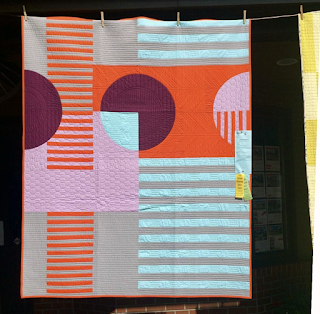 The Maritime quilt features Essex Yarn Dyed fabrics and has excellent tips for piecing strips with curves. 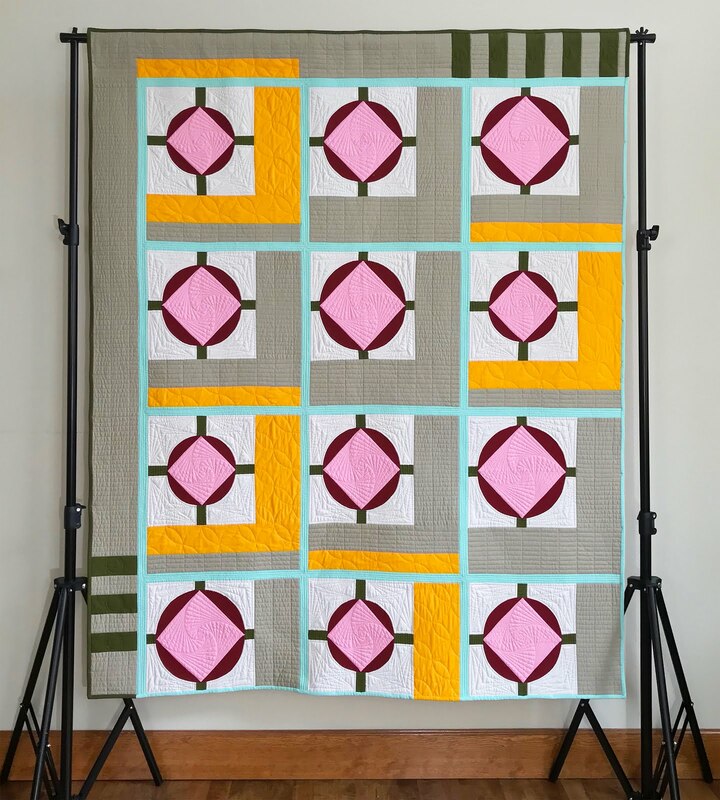 I also am excited to share that my Stratagem quilt will be hanging in the MQX Quilt Festival - Midwest September 18th - 22nd. 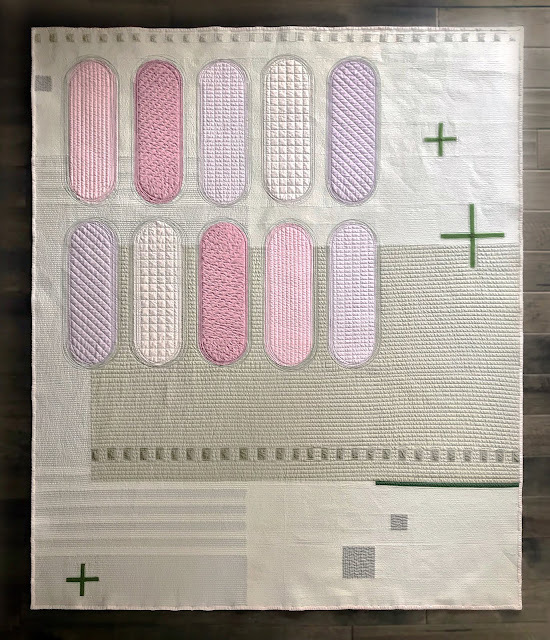 I've always been a little intimidated by this show becuase it focuses on machine quilting and I never thought I had a piece "good enough" to enter but earlier this year someone suggested I enter my Diamonds on Display quilt and that's what convinced me to give it a shot. In the end I didn't enter Diamonds on Display, I want to redo the binding because I was on a tight timeline for that quilt so I chose to machine bind it but I'm not the best machine binder, but after Stratagem was reject from the MQG Showcase I thought it would be a great fit and because I quilted it on my domestic machine I was able to enter it in the modern category. I've only ever heard good things about this show so I'm very excited to have a quilt in it. Speaking of the MQG Showcase, even though Stratagem was rejected Fringe Area was not. 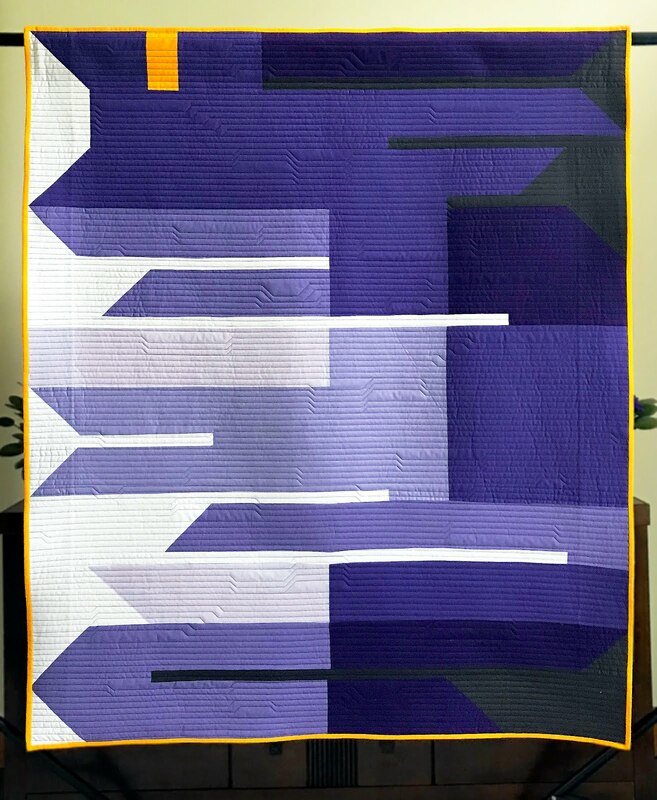 This is one of my favorite showcases to enter and I'm so grateful that I will have a quilt on display for the third year in a row at the Houston Quilt Festival. 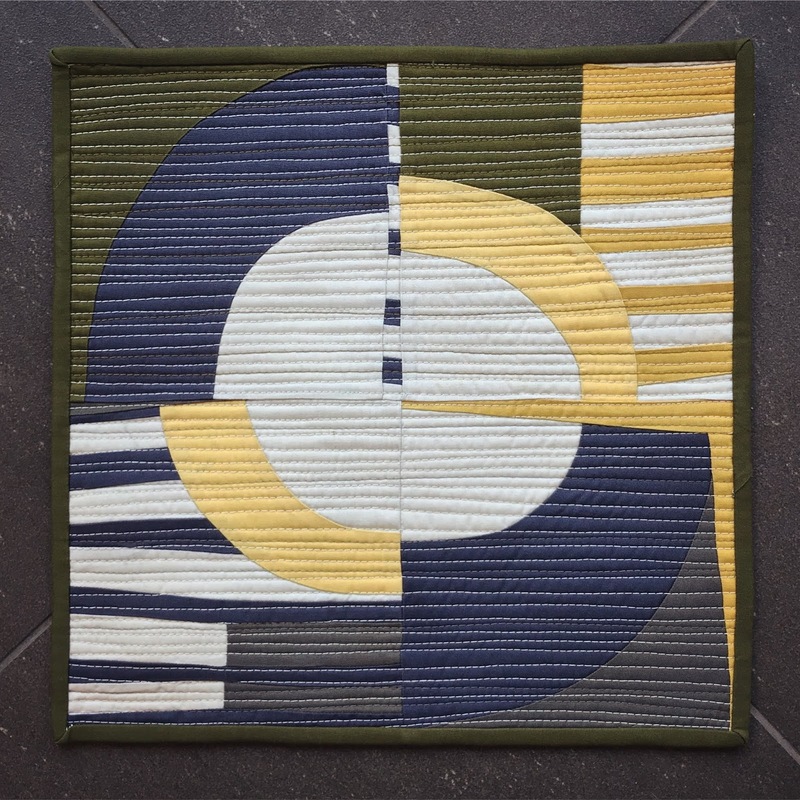 In addition to all the quilt show entries my Clockworks improv mini quilt for Curated Quilts was accepted!! 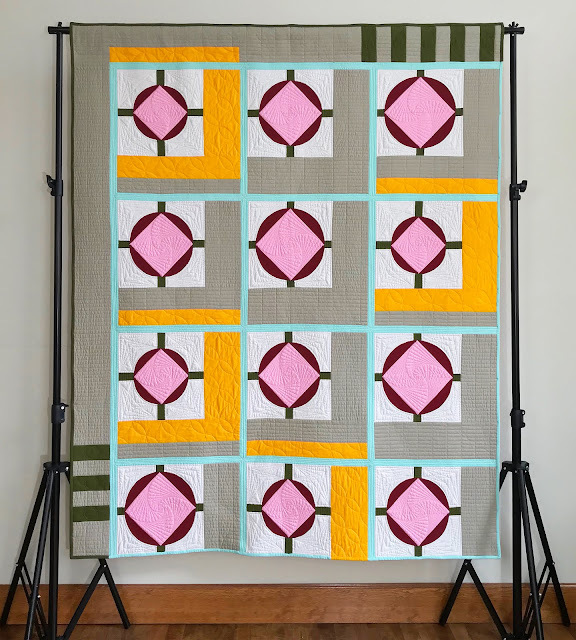 Curated Quilts already has their next challenge posted if you want to check it out. 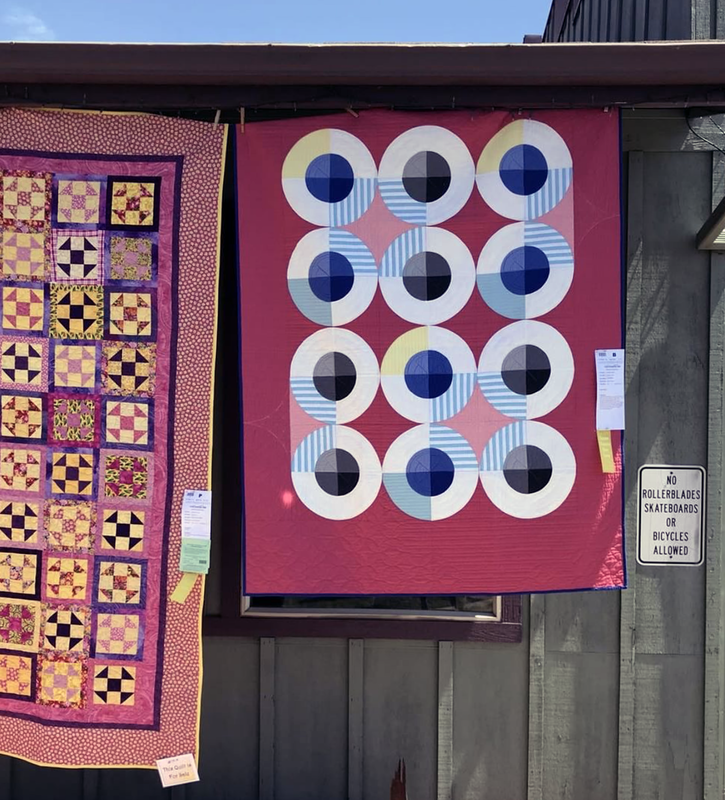 Psst... check out Clambake and Urban Trek at the Sisters Outdoor Quilt Show. 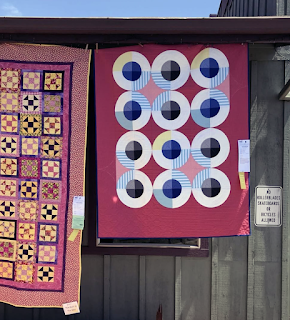 Thank you Karen (@quiltaposy) and Maria (@mdwhite2012) for the pictures. "For it is by grace you have been saved, through faith—and this is not from yourselves, it is the gift of God— not by works, so that no one can boast. For we are God’s handiwork, created in Christ Jesus to do good works, which God prepared in advance for us to do."